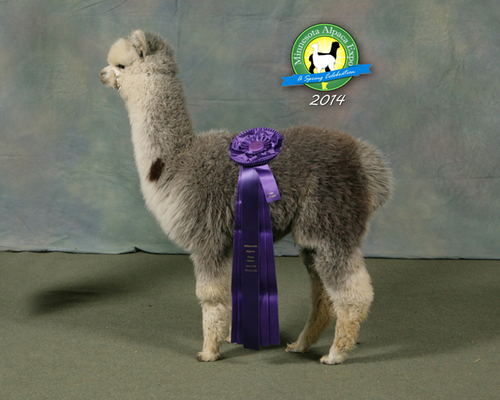 Tsunami is a superior 12x Champion, sired by Emerald Farms Orlando Cloud. 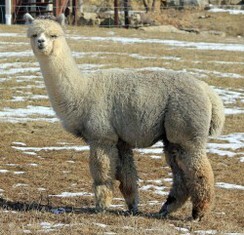 His initial fleece stats showed 16.2 AFD at 13 months of age. Tsunami maintained his micron count at 26 months; 17.2 AFD, SD of 3.9, with a comfort factor of 100. 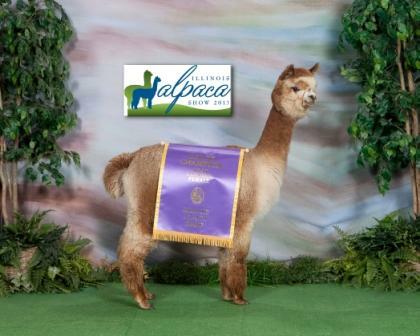 His skin biopsy results are also outstanding; 54mm2, secondary to primary ratio 10:1 all through Alpaca Consulting USA (Ian Watt). 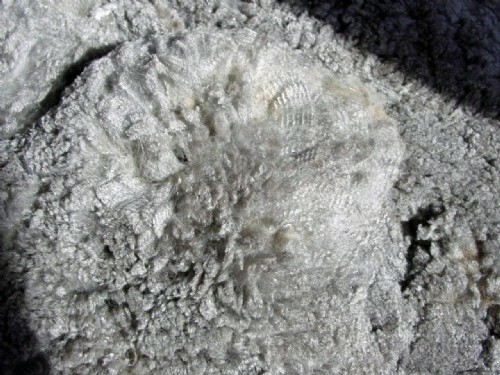 He has an amazing staple length, crimp that is high frequency from root to tip with unsurpassed density. Tsunami has maintained his fleece character and fineness well into his reproductive years. Tsunami's dam and sire are known for producing color champions. Orlando Cloud, Tsunami's sire boasts of 28 championships and 50 blue ribbons. 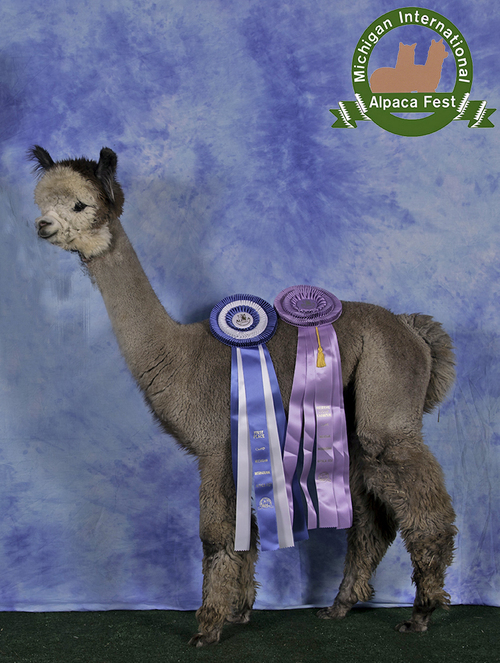 He was herdsire of the year in 2013 and 2014! Orlando set a new standard for grey that Tsunami carries on. Tsunami is producing exceptional offspring with a high percentage of grey who are doing exceptionally well in the show ring. If you have any interest in this stunning male be sure to contact us or our partners to learn more about Tsunami. 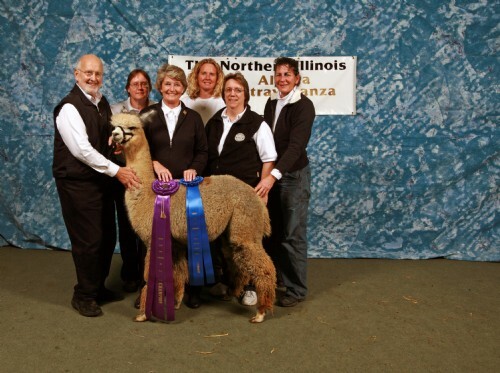 We proudly co-own Tsunami with GalPaca Farm.